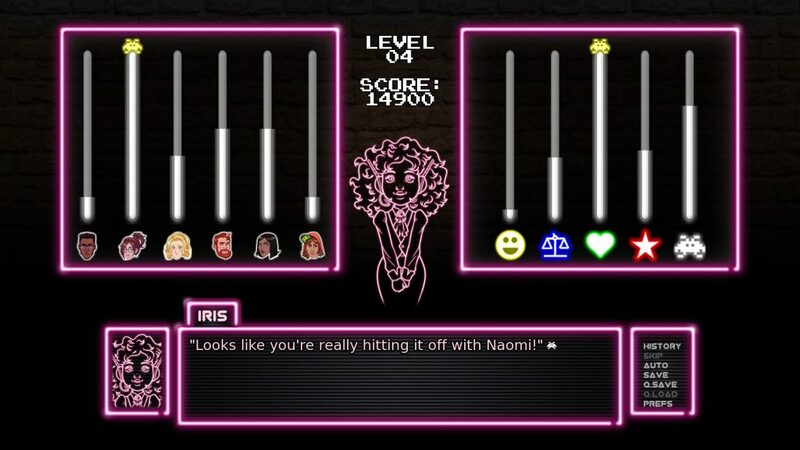 Western visual novels have always been a bit of an oddity to me. Or, more accurately, it’s the Western VNs that look like they’re from the West (after all, the West is responsible for games like Doki Doki Literature Club) that have always struck me as odd. Taking away the whole “Japanese/anime” vibe emanating from the very core of the visual novel genre and slapping on a fresh coat of American (or Canadian, or European, or what have you) branded paint just makes things feel off, you know what I mean? Well, maybe you don’t. And, if not, that’s okay. You’ll just have to take my word that creating a successful Westernized visual novel isn’t as easy as it might sound — and that’s exactly why I was hesitant to dive into Arcade Spirits when it first found its way to me. Let’s make something clear, here; Arcade Spirits isn’t just a Western visual novel. It’s a Western romantic visual novel. Because of that, I wasn’t expecting it to even so much as get near the same kind of vibe that its Japanese VN counterparts give off — and, what do you know, it didn’t. But that isn’t necessarily a bad thing. Although it lacks some of the more “traditional charms”, let’s call them, that mainstream VNs have, Arcade Spirit makes up for this by infusing some unique and appealing charms of its own devices into itself — all but ensuring that it won’t completely lose the VN crowd, and being enough to keep me entertained despite my initial hesitation. The 80s may reign supreme, but the development of self-help apps was inevitable. 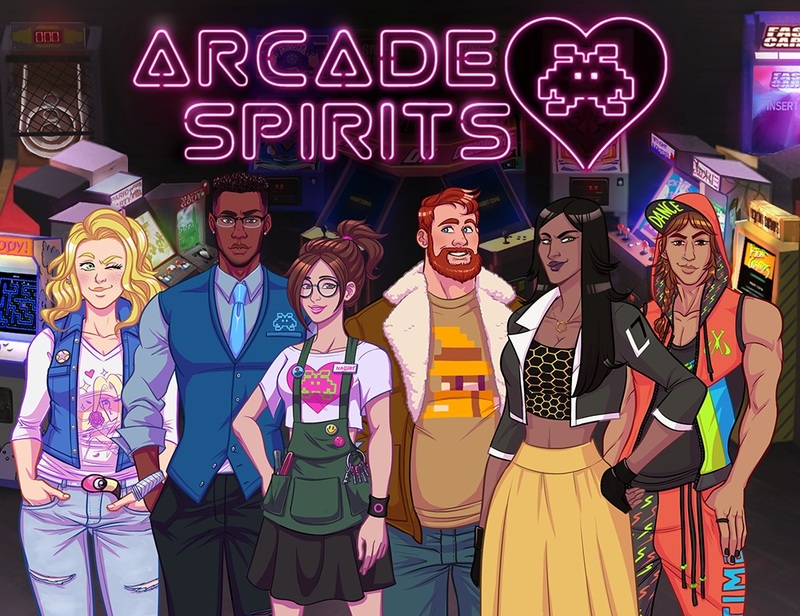 Arcade Spirits takes place in a parallel version of our own world in which the video game crash of 1983 never occurred, and the 80s have continued to dominate much of popular culture to this very day — at least in terms of aesthetic. 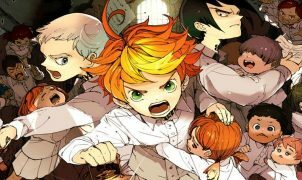 It’s a vibrant and wondrous world, and seemingly one which holds plenty of promise to anyone seeking to carve their own path through life for — anyone except for you, the protagonist, that is. A dejected, disillusioned, and currently jobless 20-something currently living rent-free in your apartment thanks to your roommate and best friend Juniper, the beginning of your time within Arcade Spirits is spent attempting to climb out of the murky depths of emotional squalor that life seems to cast you into over and over again. Fortunately, that doesn’t last long. 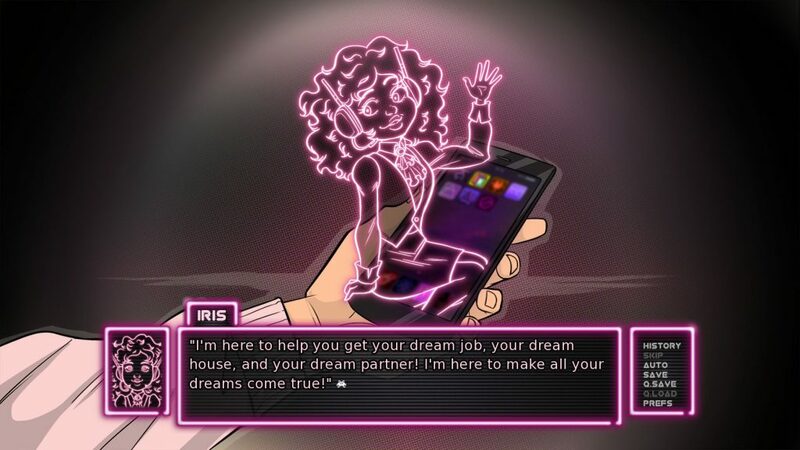 Thanks to the good intentions of Juniper, and your decisions to download and use a seemingly sentient assistant/self-help app named IRIS, you soon find yourself working at an arcade (which are still very much in vogue in this universe) named the Funplex. And, while things aren’t too happening there at first, it doesn’t take long before you’re given the chance to grab the reigns of destiny for yourself and steer your life in a new, and previously unfathomable direction. If I had to describe Arcade Spirits‘s story in one word, it would be “hit-or-miss” (that’s hyphenated, so it totally counts). I found myself enjoying, or at least appreciating, what the game had to offer for the most part. Truly sticking to its Western motif, this game’s narrative manages to successfully avoid many of the over-the-top clichés that show up in Japanese visual novels. No world-altering events, no fairy-tale romance (just the normal kind), and, depending on how you classify QueenBee, not a tsundere in sight — just a down-to-earth story about a person trying to improve their own life. Honestly, I kind of dig that premise. Sometimes it’s fun to live out a make-believe life that feels at least somewhat plausible, and Arcade Spirits‘ cozy slice-of-live vibe does that well. That’s not to say that there isn’t any sort of adversity in this game — things get pretty tense in the end — but even when things do heat up they don’t do it in a way that feels 100% unreal. Some of Arcade Spirits jabs are pretty on-point. Yet another thing that impressed me about this game’s story is the way in which it made use of video game culture. Rather than just making a game based around an arcade, Arcade Spirits tried its best to keep video game culture at its core as often as it could. Deco Nami, the game’s primary antagonist, is an excellent example of this. 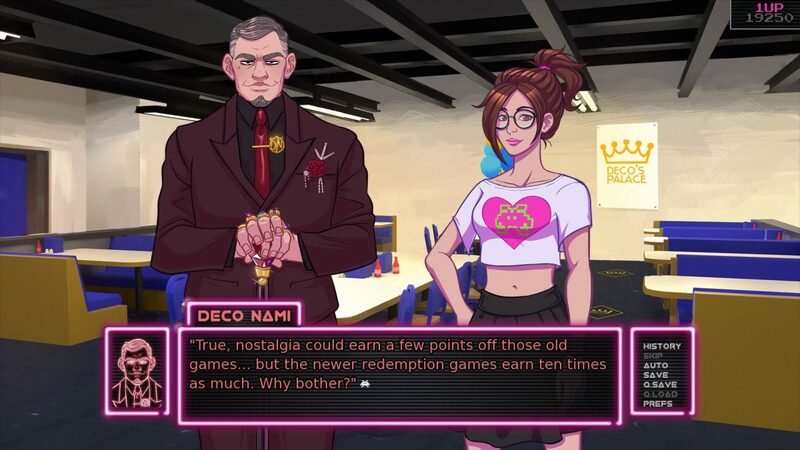 Serving as a surprisingly stable representation of the less-than-thrilling corporate actions that certain video game companies (particularly one company specifically, based on this guy’s name) Deco has taken steps to prioritize financial gain over making games that people truly love to play. 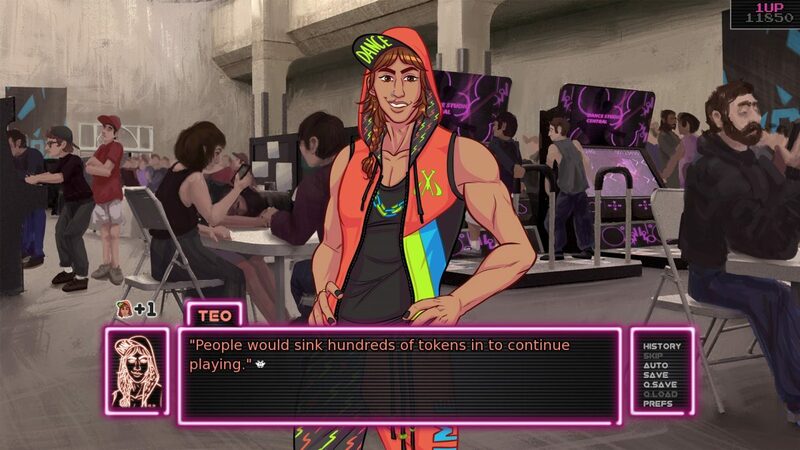 Deco, of course, isn’t the only example of Arcade Spirits‘ gaming culture awareness, but he’s probably my favorite. Not everything is perfect in this pixelated paradise, however. Surprisingly, my biggest gripe is with the protagonist themselves. Despite largely being a tabula rasa, due to the fact that they’re supposed to be you, this game’s soul-searching MC seemed to have just enough of their own personality to rub me the wrong way. Much of this stems from the fact that they come off as a millennial (of which I am one) caricature — and one that spends too much time on social media sites at that. From their “woe-is-me” attitude (which does improve over time, to be fair), to their hair-trigger willingness to dwell upon, and sometimes even discuss with strangers, familial issues and bouts with psychological disorders, to their penchant for making overly cutesy statements and/or unfunny jokes at inopportune times, and even to their obsession with cats, I felt alienated from the protagonist almost as much as I felt connected with them… er… me. Despite having decked itself out in Western flair, Arcade Spirits is still very much a visual novel. So it shouldn’t come as a surprise when I say that the other part of this game deals with relationships. And, in true romance VN fashions, its up to you to shape your destiny with your words alone (mostly, anyway). 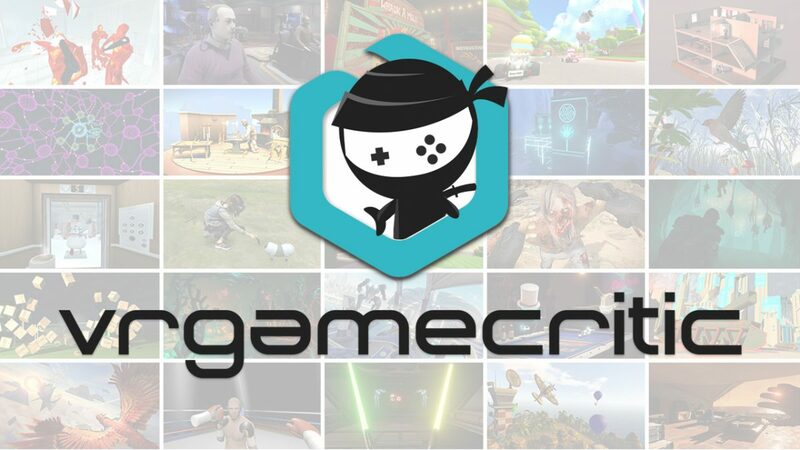 By answering the many questions that this game throws at you throughout its entirety, Arcade Spirits gives players the chance to slowly-but-surely woo the person that they’ve had their eye on. In this aspect, things aren’t too different from any other VNs out there. The more time you spend with the apple of your eye, and the better you converse with them, the more they’ll like you. And, the more they like you, the more likely things are to go your way when the time finally comes to confess your love to them (which actually happens earlier than the end of the game!). When it comes to the baes-to-be themselves, Arcade Spirits really hasn’t done too badly for itself. None of them struck me as unique to the point of being entirely original (although I’m not sure that any game could do that nowadays), but I’d be lying if I said that each potential love interest — from the highly logical Gavin, to the creatively silly Ashley — didn’t each bring their own special to the table. And really, it’s that uniqueness that has the potential to draw in players for a second (or third, or fourth) round after they’ve beaten the game. Whether purposeful or not, Arcade Spirits does very with mimicking a certain aspect of real-life relationships — anonymity. If you don’t go out of your way to get to know someone, you’ll never learn much about them. And, because of that, you’ll most likely perceive them differently. I can wholeheartedly attest to having impressions of certain characters in my first go-around with the game (QueenBee’s hostility threw me off initially, for example), only to have my opinion of them shift considerably after spending some time with them in a subsequent run. It’s always nice when a game can make you curious enough about someone to come back for another round. Arcade Spirits was definitely able to do that. Arcade Spirits always makes sure to fill you in on what’s going on. Arcade Spirits also has stats! No, really! Along with building up those sweet, sweet relationship points, answering questions and making decisions also builds up character stats. Now, before you start speculating, let me tell you that these aren’t “stats” in the traditional sense. They’re more like… points that go into building a personality profile. Nearly every single question in this game affects your personality — making personality growth much more commonplace than relationship grown — and, consequently, how other people see you. The addition of a personality profile is a neat idea if you ask me. Not only does it add an extra layer to the romantic aspect of the game, but it also helps with player immersion as well, and I appreciate it being there. I will admit, however, that it did feel lacking during certain times. I feel as though this mechanic had the potential to be something really robust, and could have turned into something more consequential than it did. Unfortunately, despite it trying, your personality doesn’t amount to much outside of making certain key decisions. It’s also worth noting that Arcade Spirits has a very “free love” approach to its romance, letting players both design their own characters however they’d like (although I would have liked more clothing options), and pursue whoever it is that they fancy. 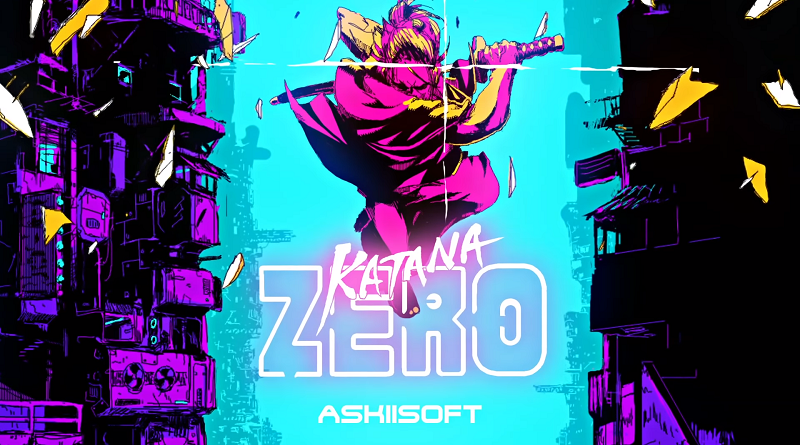 While I’m certainly no expert when it comes to games that deal with topics such as these, I will say that its approach seems to be one of the best examples that I’ve seen thus far. Nothing feels shoehorned in, nor is anything given more or less significance than it deserves. Like someone? Go for them! So long as you’re nice, everything’s gravy. It’s a simple approach, sure, but it’s one that works — and I respect the way that the game has set itself up in that regard. Arcade Spirits is far from being a traditional visual novel, but that doesn’t make it a bad one. While I’m doubtful that it will have the same reach as many of its Eastern-themed counterparts, I still see potential for it to draw people in. And, between its unique premise, down-to-earth approach, and novel mechanics, those very same people are likely to walk away satisfied. Full disclosure: This review is based on a copy of Arcade Spirits given to Hey Poor Player by the publisher.